Just because people want to save rainforests doesn’t mean that they’re dismissive of other forests, says political cartoonist Keith Knight. 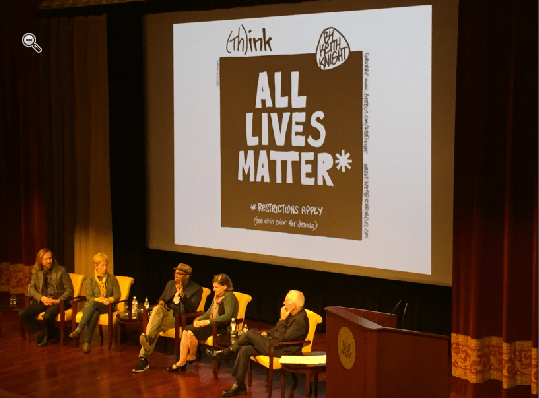 Similarly, the #BlackLivesMatter movement doesn’t mean that proponent don’t care about other lives, Knight said during “Drawn From the Headlines: Communication and Political Cartoons,” a discussion Wednesday night at the National Archives in Washington. Knight’s work has appeared in the Washington Post, Salon.com, Ebony, ESPN the Magazine, MAD Magazine and the San Francisco Chronicle.